Enjoy a gourmet meal and spectacular views during the Sunday brunch at Ozone Restaurant & Bar in the Ritz-Carlton Hong Kong, the tallest hotel in the world. The buffet brunch include Alaska crab, Wagyu beef burgers, fresh sushi and sashimi, pan-seared foie gras, desserts, and much more! 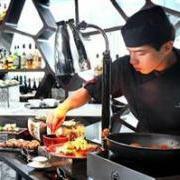 Brunch costs HKD888 (USD113) per person including unlimited champagne and cocktails. For a limited time, stay in a Superior Room at the Harbour Plaza Resort City in Hong Kong for just HKD778 (USD100) per night. Guests also enjoy complimentary internet access, restaurant discount, and full facility use. A 10% service charge is additional. The “Room Package with WiFi” promotion is available until June 7, 2012. 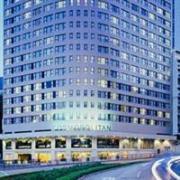 Book at least 14 days in advance and receive an additional 20% discount off best available rates at Hotel Icon Hong Kong. After applying the discount, nightly rates start from HKD1,920 (USD246) per night for a City View Room. Rates include complimentary internet access and mini-bar contents, but 10% service charge is additional. This promotion is available until June 30, 2012. Book the “Benefit Plus” package at the 4-star Regal Oriental Hotel Hong Kong and enjoy complimentary internet access, airport transfers, and a daily dining credit of HKD100 (USD13) to spend at hotel restaurants. Nightly rates start from HKD825 (USD105) plus 10% service charge for a Superior Room. This promotion is available until June 30, 2012. 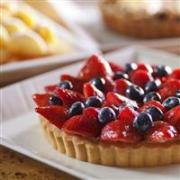 Come to the Grand Café at the Hyatt Hong Kong for an elegant afternoon tea buffet and great harbor views. The buffet of gourmet sandwiches, foie gras buns, Chinese snacks, scones, and a variety of freshly made desserts is available every day from 3:30 – 5:30 PM. The price is HKD218 (USD28) for adults and HKD109 (USD14) for children. A service charge of 10% is additional. Treat yourself to bed and breakfast and the 5-star Excelsior Hotel in Hong Kong for a special price starting from HKD1,799 (USD230) per night. The quoted price is for a Superior Room with a gourmet breakfast for one or two people. A 10% service charge is additional. This promotion is available now through December 31, 2012. 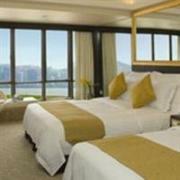 The Island Pacific Hotel in Hong Kong rewards advance bookings with big discounts. Simply book 90 days in advance and save 50%, 30 days and save 40%, or 10 days and save 30% off best available rates. 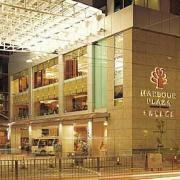 With the maximum discount, rates start from HKD850 (USD109) for a Standard Room with internet and buffet breakfast. A 10% service charge is additional. This promotion is available until December 31, 2012. The longer you stay the more you save at the Cosmopolitan Hotel Hong Kong. Book 1 night and save 13%, 2 nights and save 15%, 4 nights and save 18%, or 7 nights and save 35%. After applying the discount, rates start from HKD650 (USD83) for a Standard Room with free internet access. A 10% service charge is additional. This promotion is available until December 31, 2012.